Is it time to see a geriatrician? How to choose the right doctor. Throughout your adult life, you probably received most of your healthcare from a primary care doctor. As you reach your mid- to late-60s however, it may be time to consider choosing a new doctor who focuses on treating older adults or a geriatrician. 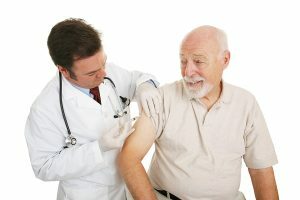 While one in four adults is living with multiple chronic health problems such as heart disease, diabetes, and respiratory disease, that number jumps to three in four for people 65 and older according to the Centers for Disease Control and Prevention (CDC), which can make coordinating and receiving the care you need more complex as you age. One option is to switch to a geriatric medicine specialist or geriatrician. Geriatricians are primary care physicians who have undergone additional training focused on the health issues that older patients face. They provide care for patients who are 65 or older and usually work with a team of healthcare specialists, including geriatric-trained nurses, rehabilitation specialists, nutrition specialists, mental and cognitive health specialists, and social workers. Unfortunately, there is a growing shortage of doctors who specialize in geriatric medicine, so finding a geriatrician may be difficult. You can look for a geriatrician in your area on the American Geriatrics Society’s Health in Aging and the American Board of Family Medicine’s websites, check your health insurer’s find-a-doctor resources, or work with a health advisor, who can connect you with geriatricians and other resources for healthier aging. Are you board certified and/or have you undergone any fellowship training? How many patients over 65 do you treat in your practice? How many of your patients are being treated for multiple health problems and how do you coordinate care amongst all the doctors treating those patients? How many patients do you treat with the health conditions I’ve been diagnosed with? How long is your usual office visit? Will I have time to ask questions? How often would you review my prescription medications and dosages to ensure I still need the medications and am taking the correct dosage for my current age, weight, and health? In a group practice, under what circumstances would I need to see one of your partners rather than you and what are their specialties and/or board certifications? Do you have call-in hours or answer questions via email or would I need to make an appointment if I have a question? How do you handle urgent care needs outside of office hours? What’s your policy if I would like to have a family member, friend, or health advisor attend appointments with me? At what hospitals do you have admitting privileges? If I were hospitalized, would you continue to treat me or would my care be handled by another doctor at the hospital? In addition to making sure your doctor has the training and experience to treat your health issues and help you achieve your healthy aging goals, it’s also important that you are able to communicate well with your doctor. He or she should be willing to answer your questions, should provide answers in layman’s terms, and should treat you as an active partner in your care.